This past week’s Milk River Arts PoP-Up event at Glave Kocen Gallery was filled with new faces, new friendships, and some awe-inspiring new artwork. There was an exciting turnout of individuals interested in the program. The vast space at Glave Kocen gave opportunity for the attendees to experience what being an artist with Milk River Arts might be like. 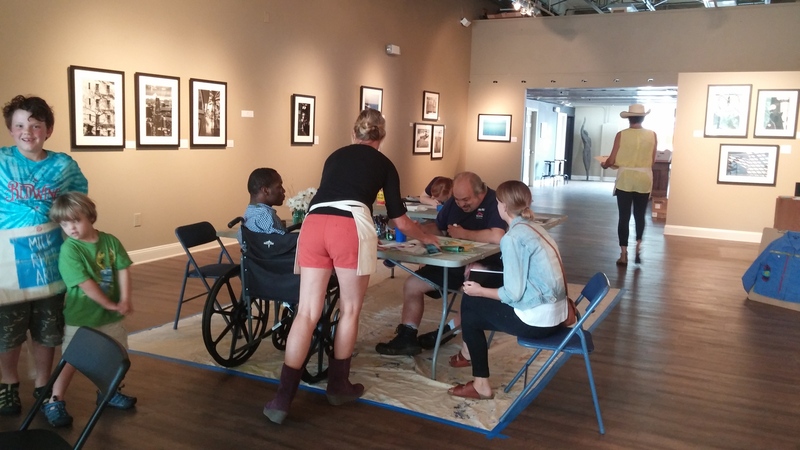 The nonprofit organization aims to extend opportunity to Richmond’s special needs community by providing a studio space where adults can come and work daily as a professional artist. Another goal of the program is to eventually set up a designated gallery for the display and sale of their artist’s work. 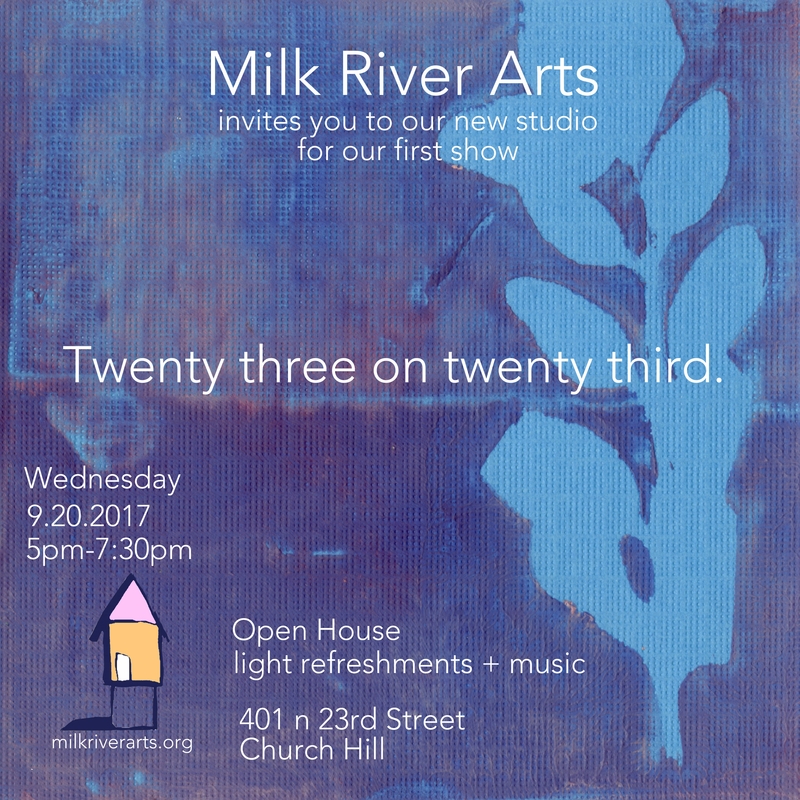 With the objective of ultimately inhabiting a permanent address, events such as these simulate a working studio space for the future Milk River Arts professionals. They also allow for relationships to be built between staff members and the community for which the program is designed. 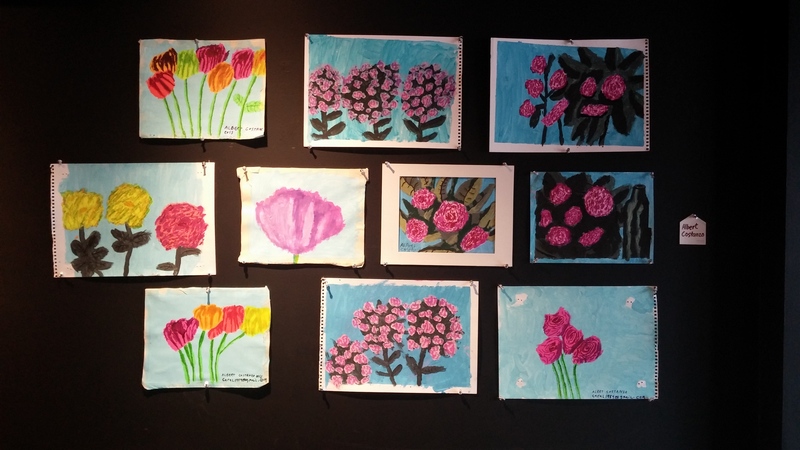 Albert, a painter who has been to twenty job interviews in three years, traveled all the way from Alexandria, VA to spend the day creating elegant representational works with highly considered color schemes. 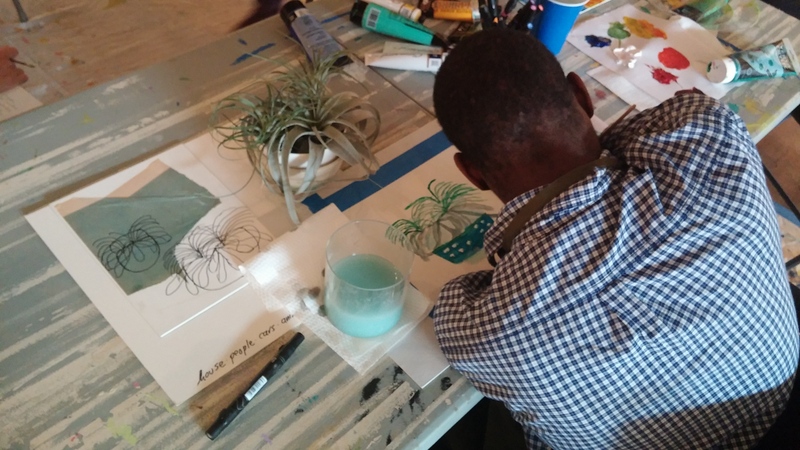 Bukuru, an African refugee and recent high school graduate, who has lost his limbs, was there to share his portfolio as well as create new pieces. He uses his mouth and shoulder to facilitate his painting process, producing works from life that showcase an exceptional understanding of shape and color. Another aspiring artist, Hannah, created a detailed graphite illustration inspired by her indisputable love for music. Throughout the day attendants of the Pop-Up received artistic guidance and words of encouragement from Milk River Arts board members and staff artists. Sally Kemp, the founding Director, is very excited about the artworks beginning to accumulate from these day events. Each new location for the continuing Pop-Ups will have a designated exhibition area to showcase what the potential future artists of Milk River Arts have been making. Towards the end of this phase, a more longterm exhibition of the work will be curated and put on view. So far the program has seen much success. Their initiatives will continue to push forward as they prepare for their next event, which takes place again at Glave Kocen Gallery, this time for an entire week, August 17th-21st from 12-4pm each day.